Behavioural teratogens, such as alcohol, lead, polychlorinated biphenyls (PCBs) and methylmercury, are known to compromise brain development and function in children exposed in utero or in early life. 1Government of Canada. The Well-Being of Canada’s Young Children. Government of Canada Report 2011. http://www.dpe-agje-ecd-elcc.ca/eng/ecd/well-being/sp_1027_04_12_eng.pdf -accessed May 22, 2017. 2Environmental Protection Agency (EPA). Children’s Health and the Environment Third Edition. 2013. https://www.epa.gov/sites/production/files/2015-06/documents/ace3_2013.pdf-accessed July 24, 2017. Studies have shown that Indigenous populations in the Arctic have higher concentrations of heavy metals and persistent organic pollutants than other populations. However, little research has been conducted on the impacts of these environmental contaminants on Indigenous peoples’ health.3 Of studies which have assessed health outcomes resulting from exposure to environmental contaminants in Indigenous children living in Arctic regions, results have been mixed. Some studies found associations between polychlorinated biphenyls (PCBs) and organochlorine pesticides with otitis media, respiratory tract infections, and gastrointestinal infections, while others have not. Some studies identified possible behavioural impacts of some contaminants, including attention deficit hyperactivity disorder, inattention, unhappiness and anxiety, impulsivity, irritability and activity, while others identified possible associations between some contaminants and brain development. No associations have yet been identified between environmental contaminants and cardiovascular outcomes, but one study found an inverse relationship between exposure to PCBs and polychlorinated pesticides (PCPs) on thyroid hormones. Several studies also identified associations between contaminants and birth outcomes, including an association between PCBs, organochlorine pesticides and mercury on shorter duration of pregnancy and fetal growth, and exposure to some contaminants with lower birth weight and shorter gestational age.3 Given that Indigenous peoples are especially vulnerable to environmental contaminant exposure, a better understanding of the health implications of this exposure is important for improving Indigenous children’s health. 3Singh, K., Bjerregaard, P., & Chan, H.M. (2014). 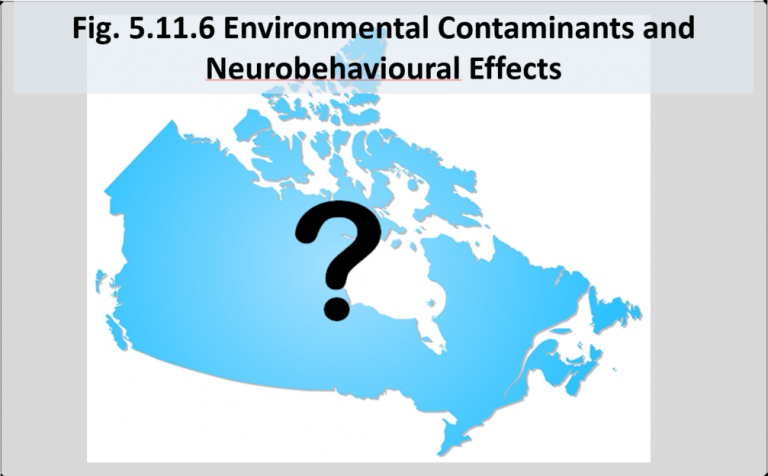 Association between environmental contaminants and health outcomes in Indigenous populations of the Circumpolar North. International Journal of Circumpolar Health, 73, 10.3402/9jch.v73.25808.